Our California Kurobuta pigs are raised in pasture and woodlands—a practice now almost unheard of in the United States because of the industrialization of agriculture. 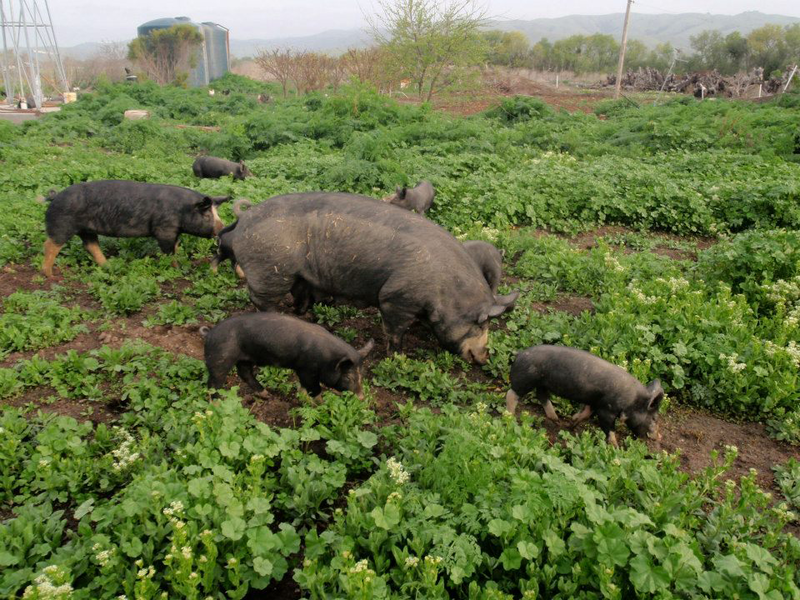 Pigs are by nature woodland animals (think truffle-hunters) and they thrive in pasture, too. 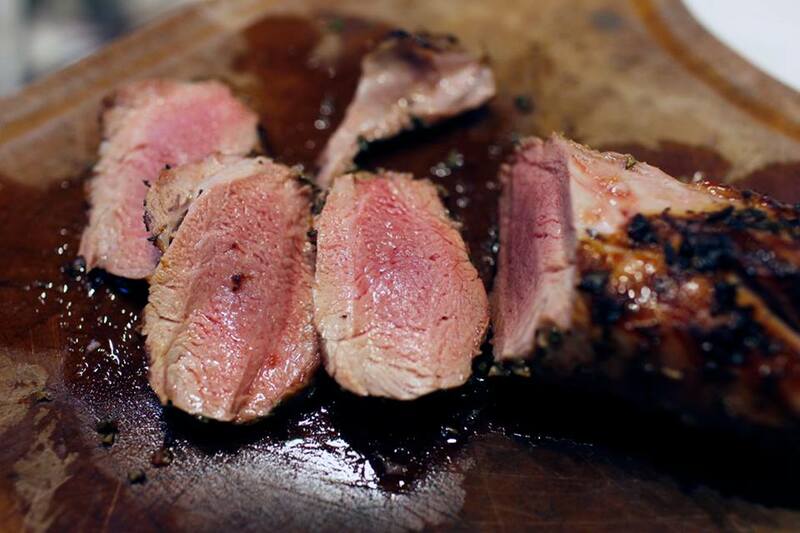 The number one difference between our pastured pork and standard commercial pork is flavor. Our heritage Berkshire pigs have always been known for rich, tender meat. The meat itself is redder, more like beef in appearance. The pigs’ diet is the secret to great pork flavor. They have never been fed commercial corn or soy ration. They live in pastures and wooded areas bordering a lake with unlimited access to pasture plants, cattails, dirt, bugs, grubs, and roots. Their diet is supplemented seasonally with fruits, nuts and vegetables from our neighboring farms and local grain processors. Some days they may have organic baby lettuce with apples, other days it’s onions and heirloom tomatoes. At the farm, we usually season our pork with nothing more than salt and pepper; its savory taste doesn’t need enhancement. 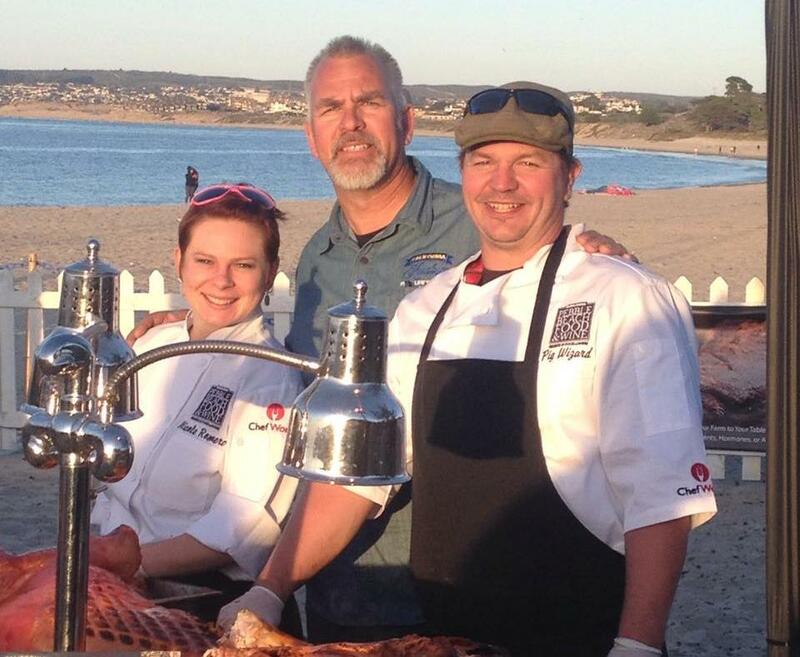 This is why our pork is served by chefs from Big Sur to San Francisco. Quality is another reason our customers buy pastured pork for their friends and families. Our pigs are never given any growth supplements, hormones, or antibiotics. 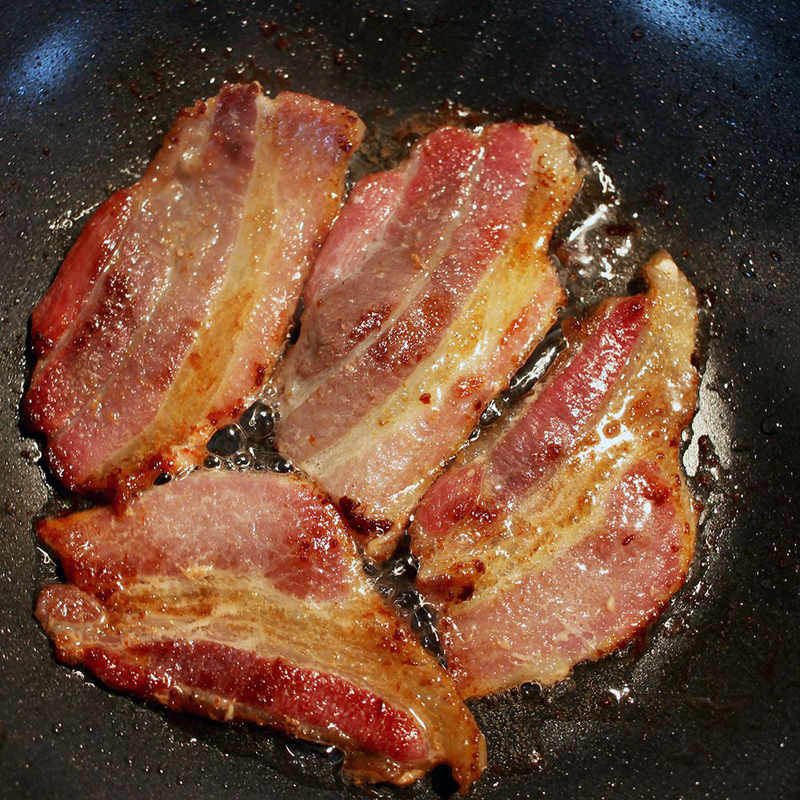 Meat from grass fed, pastured animals tends to have higher ratios of omega-3 to omega-6 fatty acids. It just makes sense: our pigs eat high quality food and produce high quality meat. We’re your source for unusual cuts: whole roasting pigs for your barbeque or luau, custom cut whole or half pigs, leaf lard, jowl bacon… Come by one of our Meat Club events to see what’s going on. Purposeful land management is very important to us. 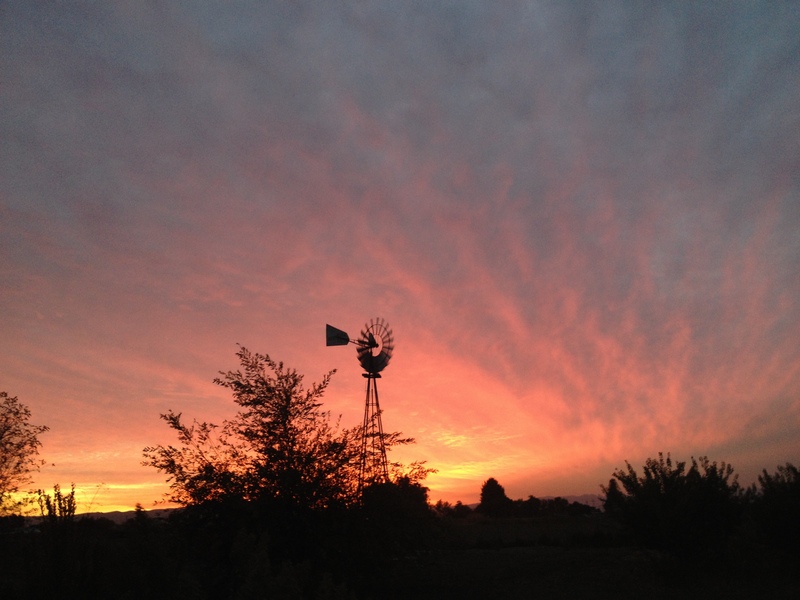 Our farm is our home and it’s a healthy, pleasant place to live. We want our land to be productive and provide healthy products to others in a sustainable manner. The sun and wind provide all of our electricity and a windmill pumps our water. We raise our pigs the old-fashioned way: they eat well and have plenty of space to roam. When you eat our pork, you are enhancing your own well-being as well as that of the land. Read the pork blog for more details on the pigs’ healthy lifestyle. Our pigs have never been fed commercial corn or soy hog ration. They have never been given growth supplements, hormones, or antibiotics.